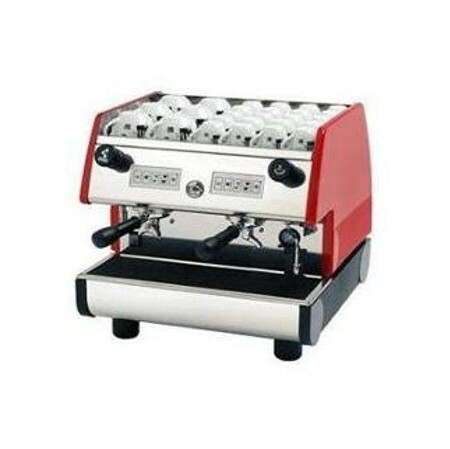 Are you a small cafe or restaurant owner looking to buy a commercial espresso machine for your premise? Cannot decide which machine to get? 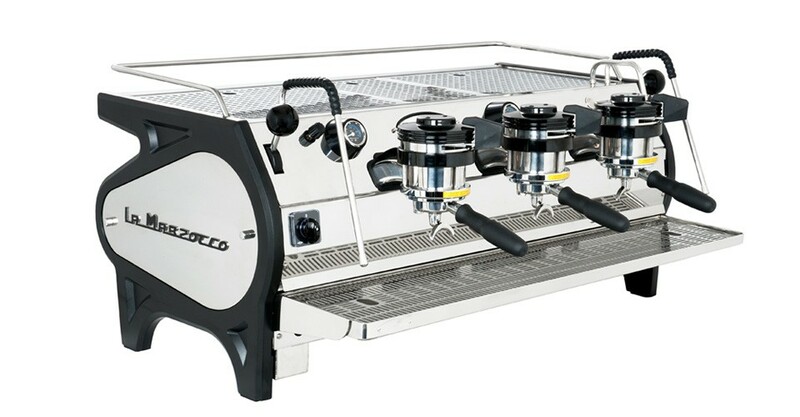 We can help you with choosing the right commercial espresso machine for you and have put together a guide of the best commercial espresso machines by price to cut down your research time considerably. 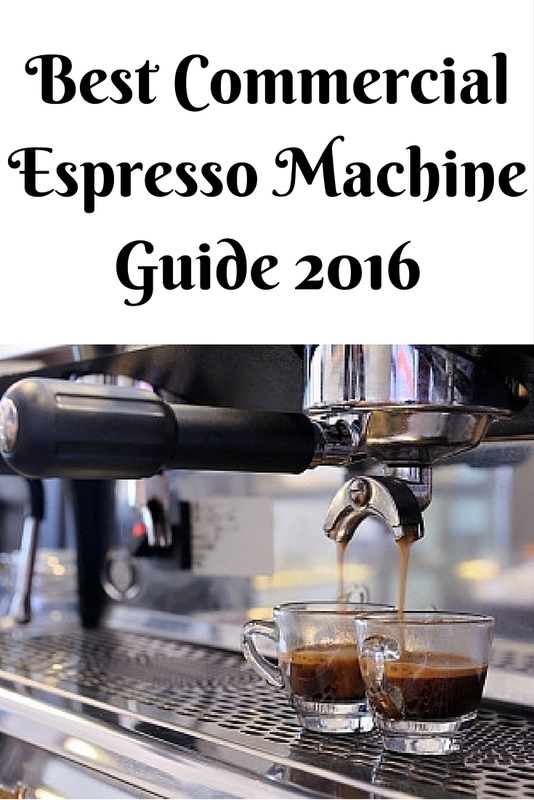 Looking for more details on what to look for in an espresso machine for commercial purposes? Read our extensive buyers guide below. 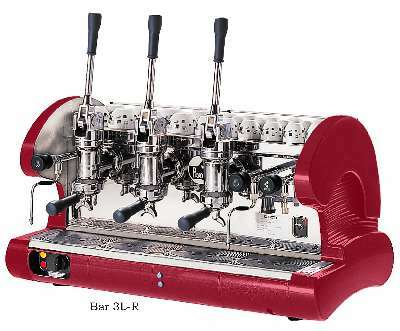 Want more information about commercial espresso machines? Read on. Below we will talk about the 4 types of machines you can consider. After deciding the type of machine most suitable for your venture, we will talk about the features you need to take into account when choosing the final product. Sometimes called a piston machine, there are only few manufacturer making them due to lower demands. Though preferred by serious Italian barista, it is not suitable for busy cafes as it is hand-operated and physical labour is needed. Suitable for fairs, catering trucks, low traffic location due to lower cost and some do not need electricity to run. Requires someone to manually stop the pour. You need to train your staff to operate the machine though it cost lower than an automatic as it relies on older pressurestat system. Temperature stability is not as precise as automatic machines. 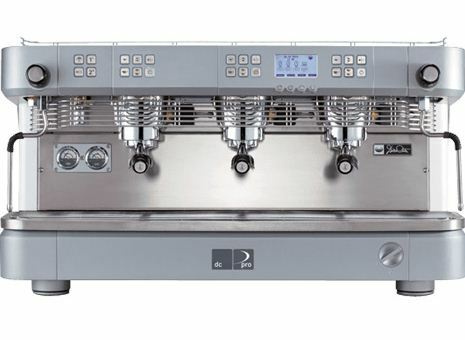 Delivers pre-set amount of espresso depending on what you programmed, allowing the operator free to steam milk. 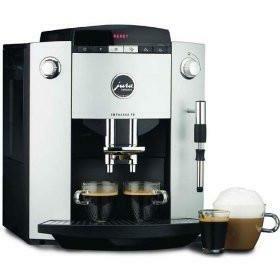 Most cafes and coffee houses use the automatic espresso machine for increased productivity. You can customised your shots with more consistency. This machine does almost everything from grinding coffee, brewing espresso shot and ejecting grounds into the built-in dump box. More expensive but operator foolproof. Suitable for fast-food chains, bars, hotels or places where training is almost not required. As it is more complicated, regular maintenance and servicing is needed. 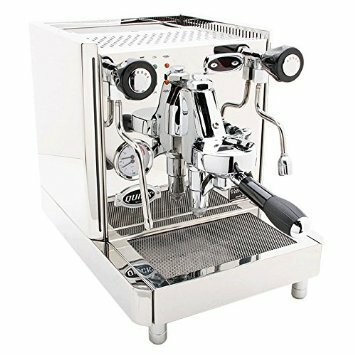 We’ve narrowed the huge field of candidates for best commercial espresso machine down to 4 top picks. These products represent the perfect mix of quality vs price and value for money, along with a very good user review history for peace of mind. Now that you know how each type of machine delivers espresso, here are some features to look out for when choosing the right brand and size. How many cups are you expecting to product in an hour? Many companies will tell you their machine will do x number of 1 ounce shots of espresso coffee and not how long it will take to product lattes, cappuccinos etc. 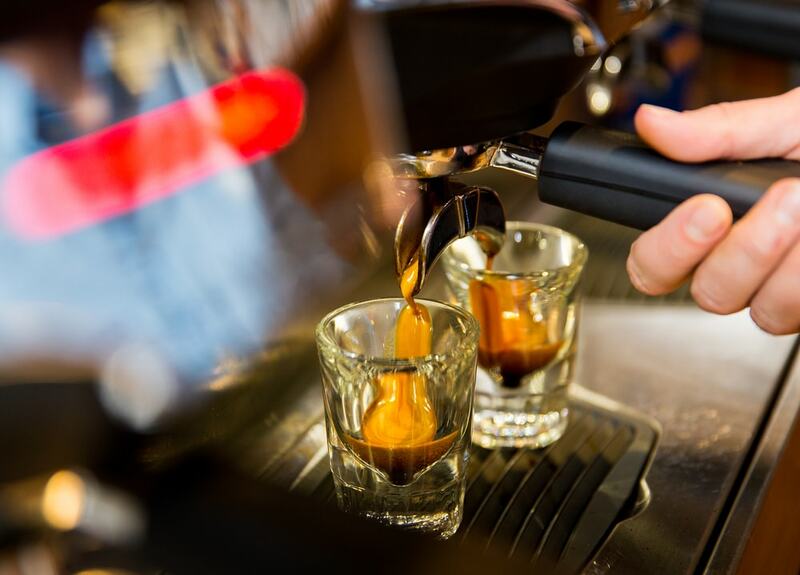 Can the machine deliver quality espresso with consistency? Brewing at consistent temperature, pump pressure and volumes affects the flavours of the coffee. Same goes for producing quality steam at right pressure and right angle. The size of the boiler plays a part in delivering steam and hot water. One group machines range from 1.8 – 5 litres, two group machines from 5 – 12 litres, three group machines from 11 – 18 litres and four group machines from 20 – 22 litres. You will need to think if you are selling takeout drinks with 16 and 20 ounce of lattes/teas etc or 6 and 8 ounce single cappuccino. Independent boiler systems? Dual boiler system? One for hot water and steam, the other for all the groups? Do you want to train someone to operate the machine? Is it easy to clean up at the end of the day? Is there a large enough area for cup warming? Are the steam valves or hot water valves easy to operate? What is your standard coffee drink? Is it two shots of espresso or 1 shot? One group machines can make 2 espressos, two group machines make 4 espressos, three group machines make 6 espressos at the same time. 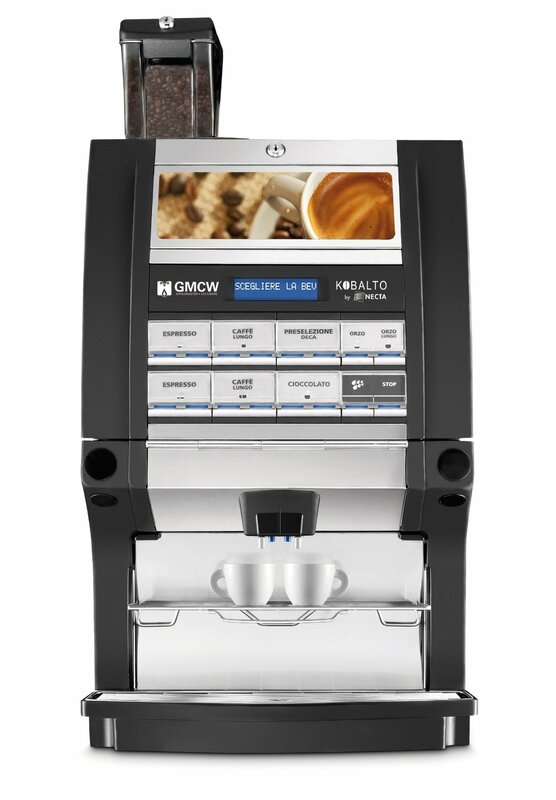 2 group machines are popular for coffee outlets, 3 group machines are found in busy locations like airport kiosk and 4 group machines are found in high volume coffee chains. Is it attractive looking? Believe or not, looks matter to customers. Studies have shown that size is related to sales, customers perceive your business as professional with a two group machine as compared to a one group machine. For two group machines, a second barista is able to step in and help. Interesting fact: Starbucks usually have four group machines. 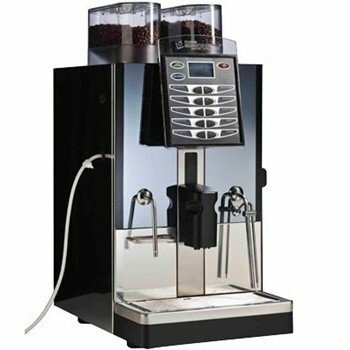 Varies based on the number of features like complexity of features, cup capacity, industrial coffee maker brand, inclusion of a coffee bean grinder, type of machine (manual, semi-automatic, automatic, super-automatic). Watts are important to gauge how much can your machine reproduce steam, boil water, maintain temperature or recover after making espressos. The bigger the machine, the more power it consumes and the quicker it can recover. 1 group machines draw usually less than 3000 watts in power with a 13 amps plug (3000 watts divided by 240 volts is 12.5 amps) while two group machines around 4000 watts. You will need to take into account these calculations, it is best to consult the manufacturer or the sales person and an electrician. 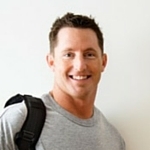 How is the after sales support? You can have the best machine in the world but it is useless if it not working as it should be. 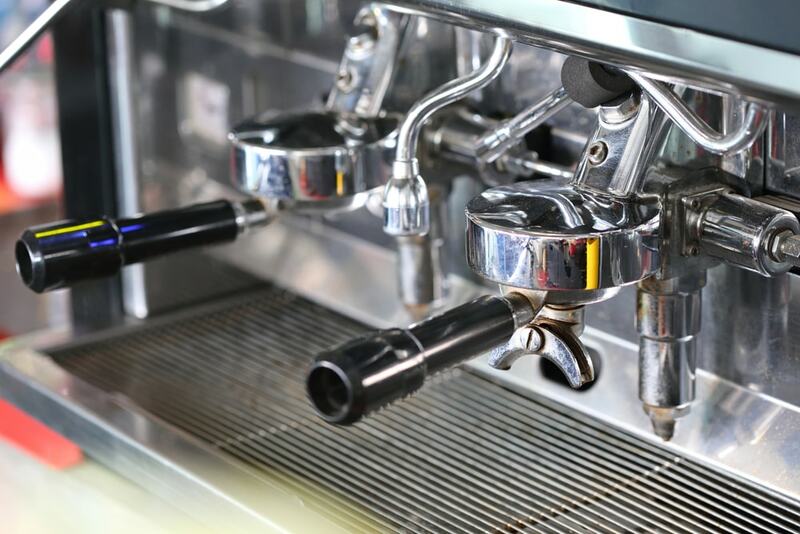 Here are our top 8 commercial espresso machines, the list contains 2 machines from each type (manual, semi-automatic, automatic and fully automatic) to suit for all volume traffic. High quality groupheads made with press-forged brass and chrome plated. Thermal stability: Hot water from the boiler flows around the groups maintaining them at a consistent temperature. Anti-vacuum valve: Eliminates liquids from back flushing into the steam wand. Pressure gauge: Measures boiler pressure. Electronic water level: Automatically measured by the sight glass. Steam/water wands: 2 wands on each end. Multi-directional with anti-drip spring taps. Programmable hot water button with telescopic flexible wand. Energy saving: 4-position power switch: Reduces power by 25% during off hours. High quality groupheads made with press-forged brass and chrome plated, with vertical infusion chamber and pressurization system. Large copper boiler equipped with front mounted transversal heat exchangers and injectors for each grouphead. Allows for front machine access in case of repairs. Dual pressure gauge measures both pump pressure and boiler pressure. Steam/water wands: 1 steam wand on the left. Multi-directional with anti-drip spring taps. 1 hot water wand on the right. Programmable hot water button with telescopic flexible wand. Electrical heating: Protected by a 3-pole manual reset thermostat. With Electronic Paddle (EP) Technology to control gear pumps providing precise pressure control. Absolute and direct control of pressure at any point during the extraction. Multiple coffee boilers allow you to customize the temperature of each brew group. P.I.D. : Allows you to electronically control espresso brewing temperature (±0.5°C). 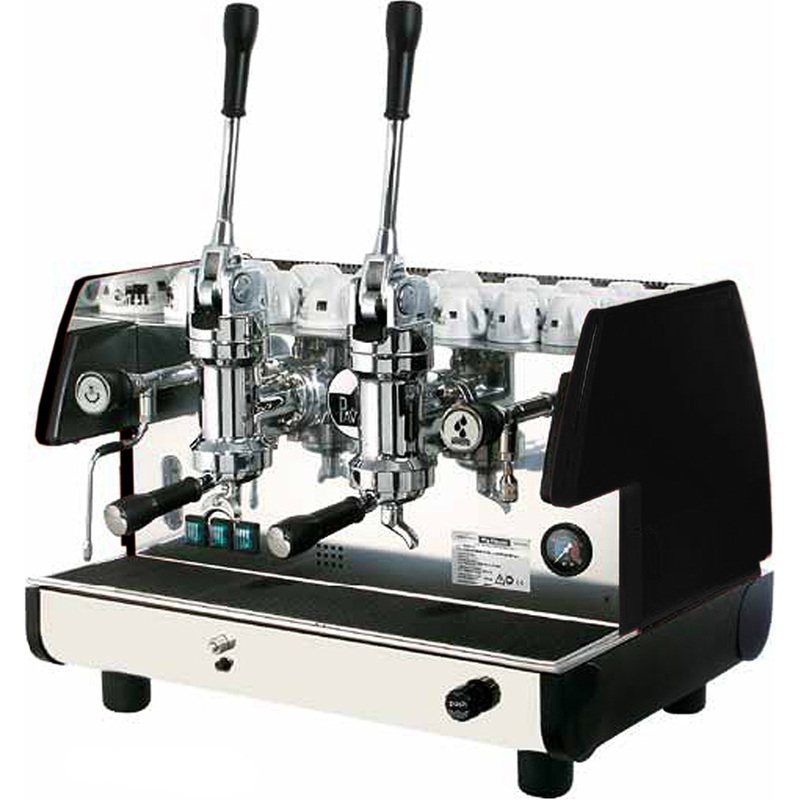 Multiple Gear Pumps: Mounted inside the Strada, compact dimension allows for one pump per group. An innovative espresso machine of the highest class. Its maker – Rancilio is a good industry brand for commercial espresso machine. Suitable for maintaining traditional values with latest in technological advancements and modern styling. The entire body of the Classe 10 is made of aluminium. The internal components are designed with the utmost care insuring reliability over many years. In addition, the easy access to these components facilitates the technician’s inspections. Pump and steam pressure gauge. Mechanical pressure stat for boiler pressure. POD adaptable – All groups are designed to accept a special Adapter Kit for pods. The groups have a removable device which allows for the Rancilio Pod Kit to be fitted. DR Pro was designed to let you work intuitively to make the highest level of quality, cup after cup. The machine is encased in a beautiful body design, made of high quality and resistant materials for an unique elegant look. Multi-functional display: Simple control buttons. Easy to use programming. Complete overview of all machine functions and settings. Cleaning cycle: A semi-automatic cleaning cycle allows you to perform the maintenance of the groupheads and the boiler. Dial: Ergonomic design. Enables creation of milk foam with a half-twist of the dial. Energy-efficiency: Each brewing unit can be turned on or off independently. Filter: The 54mm diameter filter ensures an high quality extraction. 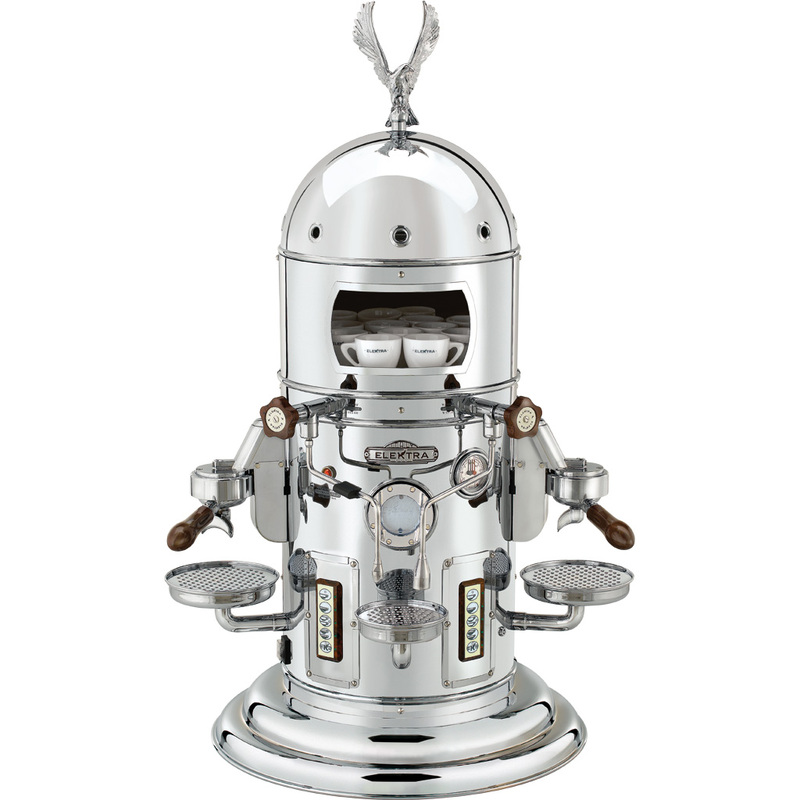 With a very unique, elegant and traditional design, Elektra inspire the difference in these old world styled espresso machines. Your customers will be taken in by its beauty and brightness of the metal. Electronic control of boiler water temperature. Precise adjustment of the brewing temperature (+/- 1 C). Beautiful ultra-polished finish in copper/brass or chrome accented with beautiful dome and eagle. Double access windows for access to cup warming surface. Multi-directional steam wand and one hot water arm each with its own drip tray. Three position power switch: off, boiler water refill/heating element off, full power on. Round gauge glass shows water level in boiler. Powerful heating element provides instant recovery when steaming milk. Safety thermostat on heating element. Dual manometer shows both pump brew pressure for extraction and boiler pressure for steaming. Six programmable dosage buttons allows flexibility in dosing pre-measured amounts of water through the coffee grinds plus one manual dosage button to use as a semi-automatic. Steel frame with anti-rust unit connections. The most expensive super-automatic espresso machine but it is top of the line. It makes high quality coffee easily. The Talento can handle up to 150 espressos in an hour allowing waiting time to be shorter. 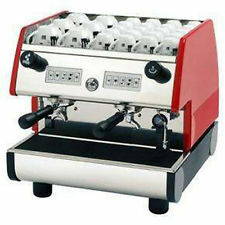 It features dual boilers and grinders. You can use caffeinated and decaffeinated beans at the same time. The interface is clean and classy. Learning to use the Talento is very easy too. 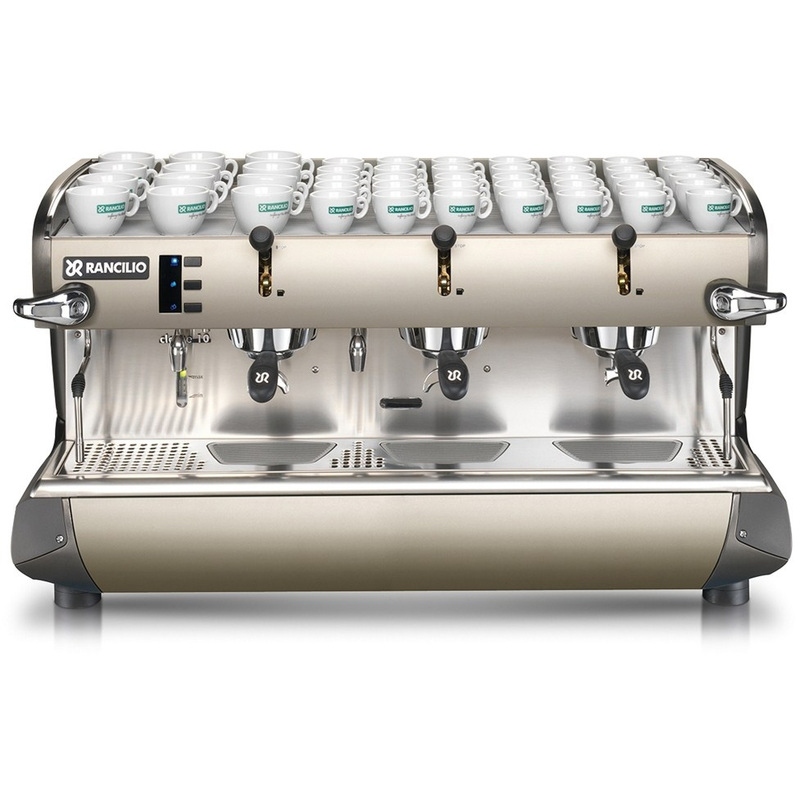 A good competitor to Nuova Simonelli Talento, the Grindmaster’s design is all about simplicity. The features allow you to set it up as a self dispensing counter if that is your aim. Little training is needed for operating this machine as everything is done with a push of a button. The Grindmaster can produce 45 servings in an hour and there is a LED display to help users select flavour and monitor the stages of production. We’ve found that a website such as Amazon.com is typically the best place to find quality coffee machine for commercial use. The benefit of shopping at Amazon is that you can look through further information about the products above and then make an informed buying decision. No doubt though, there are plenty of fantastic options when it comes to commercial coffee machines on the market.